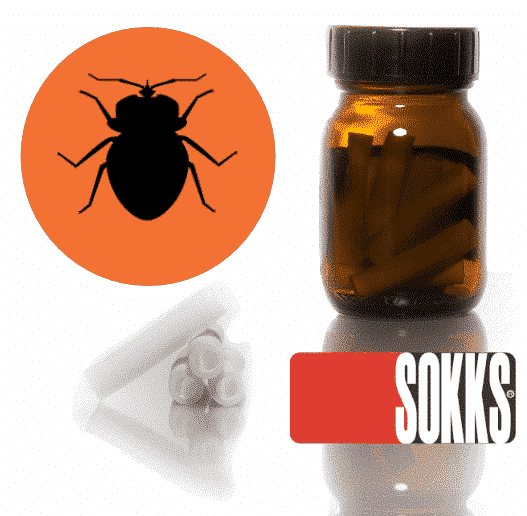 SOKKS-MPTS® Bed Bug is a great product, pure odour like all of our products. A simple easy way to train your bed bug detection dogs with handling live Bed Bugs. Again like all of our SOKKS products this enables easier training of your detection dog and without contamination. SOKKS® K-9’s are trained on pure odor. We believe that in short order judicial notice will be taken of SOKKS®. Each dog can still be certified using current state standards by using real products. However, since SOKKS® uses the PURE ODOUR of for example REAL Arson all current court decisions regarding the validity of training with real substances still apply.